This book is very wow! Especially the end part. 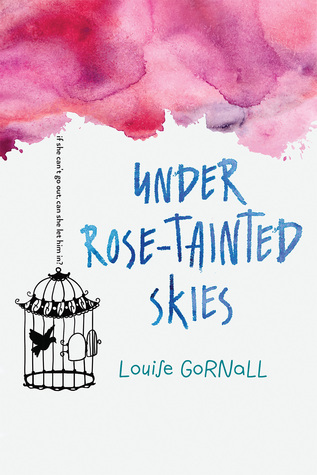 I was petrified for Norah, imagining that she would end up dead-these days I know YA reads aren't all happily ever after. I was pleased when it did end well, although I'd have liked a smidge more time on her recovery before her story ends. But maybe there will be a sequel...please? While I don't have agrophobia, I could relate to a lot of Norah's ssues for reasons I'm not ready to say online yet. Trust me when I say every part of the story is realistic. All the worries Norah has, how she is a pro at catastrophy thinking, how she doesn't even see what she does to herself is harmful, it's so true to life that I smiled at seeing someone like me. While Norah frequently thinks the worst there is a lot of hope which as a reader I could see, and I wanted to tell Norah life will get easier. When something horrific happens it isn't anything that she'd planned for, and she has to dig deep to aurvive it. I love how firm but gentle her mother is, how supportive her psychologist is (including sessions in the car and at home). I do admit the relationship she has with her neighbour is sweet, and helps her want to live, as well as push her down to darker places. It takes a strong person to see past aomeome's needs and love them for who they are regardless of eccentricities and so called normalness.